Reading some of my articles elsewhere is now possible as my good friend Sherlock kindly asked me to write on ecology and sustainable development for his blog. Sherlock is a photography enthusiast and his pictures are just mesmerizing. The latest version of his blog, Focus on Sherlock puts more emphasis on his works. The second solution is to use rechargeable batteries. These ones can be recharged up to 500 times and will thus cause a pollution which is 500 times less. To learn out more, and to see great pictures, I strongly recommend you visiting Sherlock’s homepage. Please add it to your bookmarks and or to your RSS feeds as I will write many other articles with time on this website. I will of course keep you updated with future posts. 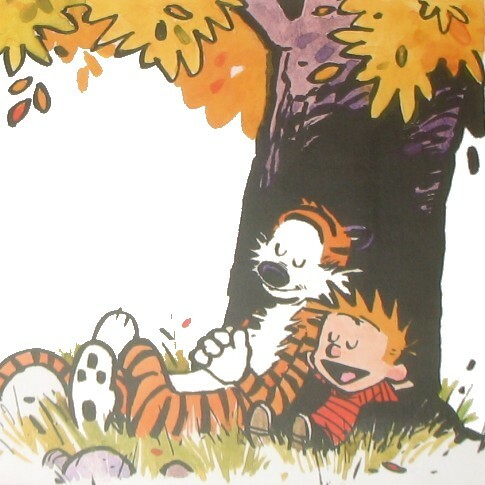 As Sherlock asked me to find an avatar for my articles on his blog, my choice went to a picture from Calvin and Hobbes, Bill Watterson notorious comics. As a fan, I reviewed here the complete Calvin and Hobbes on a previous cultural break. Il faudrait que tu tiennes informé les abonnés de ton blog à chaque nouveau billet que tu posteras chez Sherlock, pour ceux qui sont abonnés à ton blog mais pas à celui de Sherlock, qui est en français et qui n’intéressera pas tous tes lecteurs. You should keep the subscribers of your blog informed at each new entry that you will post on Sherlock’s blog, for those who subscribe at your blog but not to Sherlock’s blog, which is in French and may not interest all of your readers. Moe is right, each and every time I will write on Sherlock’s blog, I will write a short post here to keep you posted.